The beaten path is a place that everyone knows about and has already been to. It is a predictable and a known commodity. I love to go off the beaten path to explore new and interesting places. 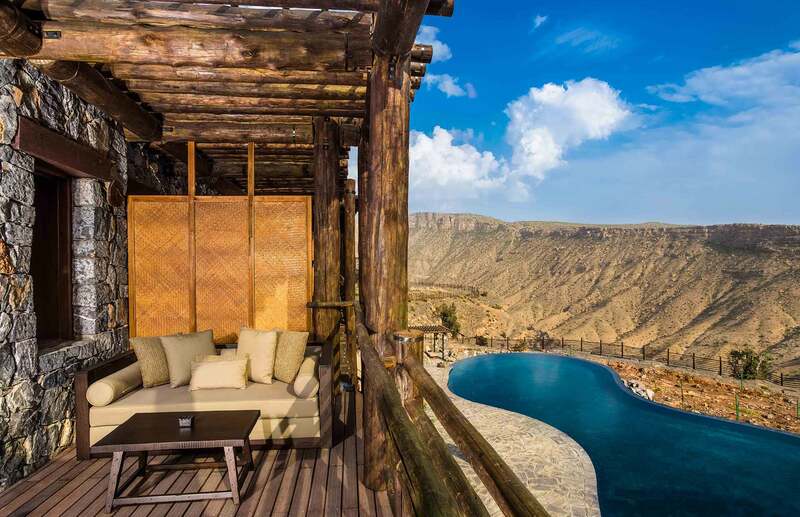 I recently found heaven off the beaten path in the Alila Jabal Akhdar atop Oman’s Al Hajar mountain range. Oman is special place. Only three million travelers go there each year. It is not a place where you will find T-shirt vendors, strip malls and your typical tourist attractions and gaudy theme parks. What it does have is an abundance of natural beauty that rivals anywhere in the world. There are majestic mountains and imposing canyons, deserts with ochre-colored sand dunes as far as the eyes can see, lush tropical forests, and oceans as clear and blue as any body of water. The country is very selective about what hotels can open there and each new project must be special. 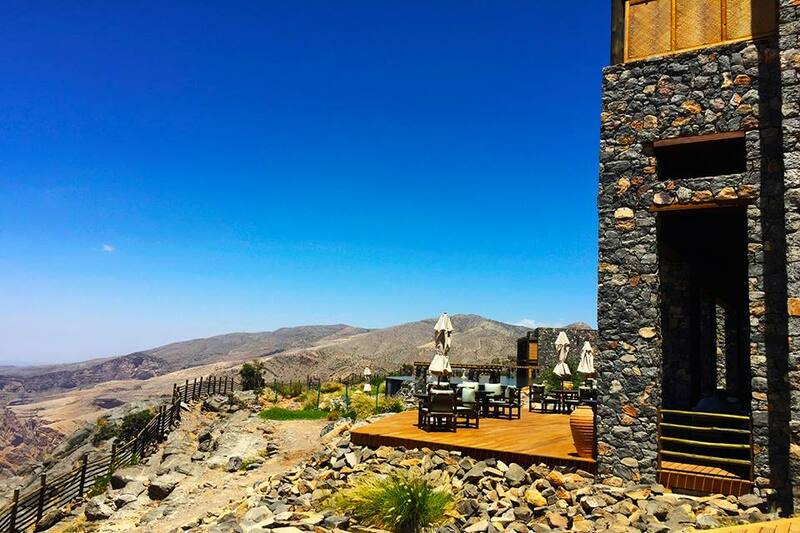 So when I heard about the recently opened Alila Jabal Akhdar, I knew it would be special. 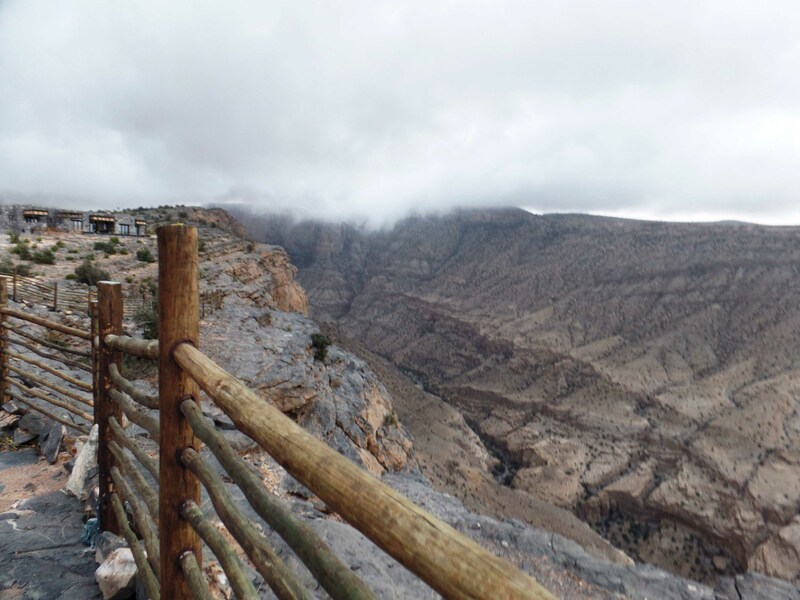 Jabal Akhdar is Arabic for Green Mountain. It is a breathtaking mountain range of untrampled beauty and dramatic scenery. 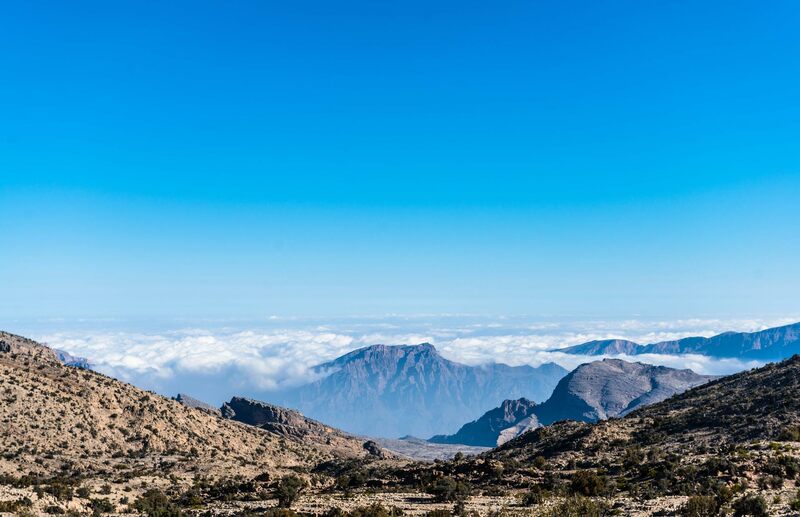 The mountain range reaches 10, 000 feet above sea level and features equally impressive canyons reaching to the sea floor. It has vivid colors and hues to behold in the varied flora and fauna. 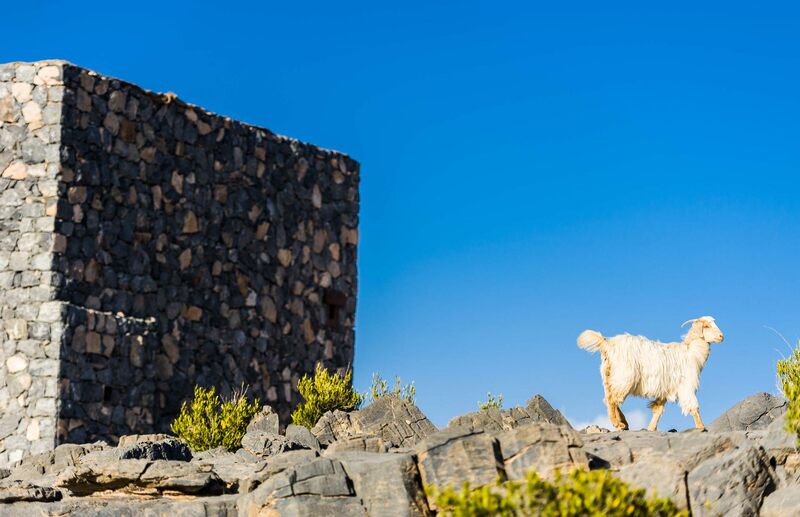 You’ll see wild donkeys and goats and their kids jumping and scaling the mountains. As you ascend the mountain, there is a checkpoint for your car to make sure you have the mandatory four-wheel-drive to proceed up this steep mountain. The roads are perfect and there is a newly built highway that takes you from one side to the other. 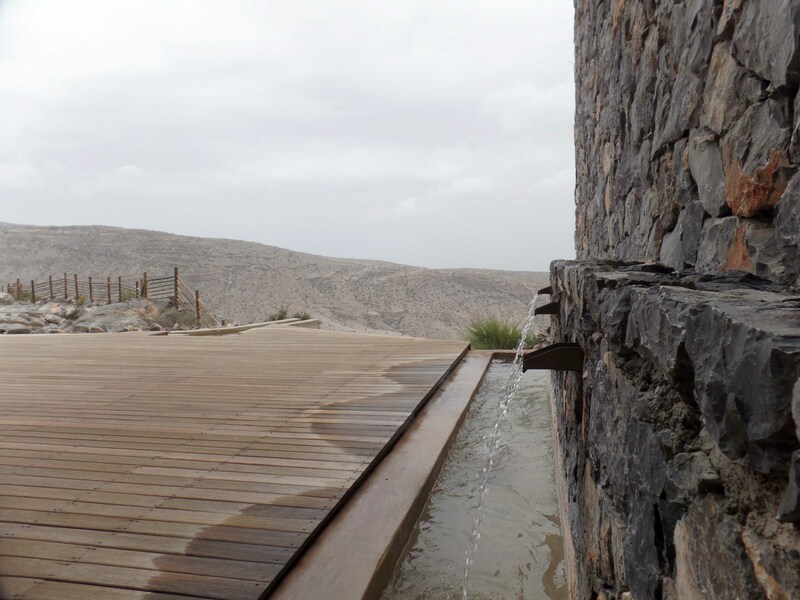 Alila Jabal Akhdar is a monument to Oman. 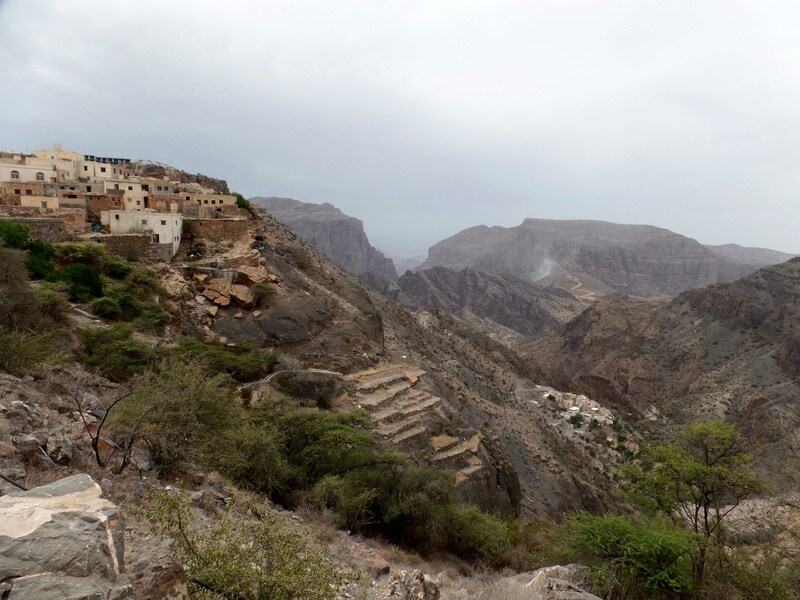 It has respectfully taken Oman culture and tradition in a dramatic location and built an authentic and five-star travel experience around it. 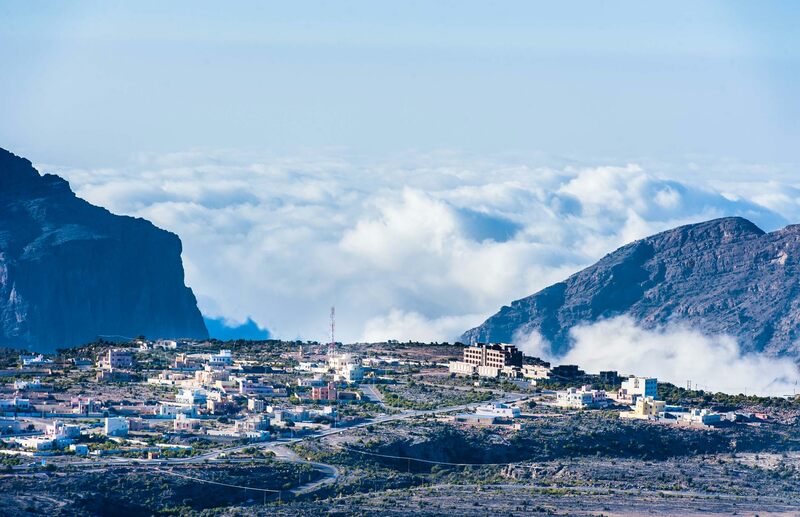 It is found atop a mountain, literally in the clouds at 5,000 feet above sea level. Clouds pass by and you can touch them as they surround you. The air is noticeably lighter, fresh and cool. It was the middle of June when I arrived, when the rest of the Middle East is sweltering in temperatures over 110 degrees. Here is cool and even chilly at night. As we finally reached our destination, I was greeted by the staff and I immediately felt personally welcomed. This is a small property of only 86 units, so it allows for a personal relationship with the staff throughout your stay. 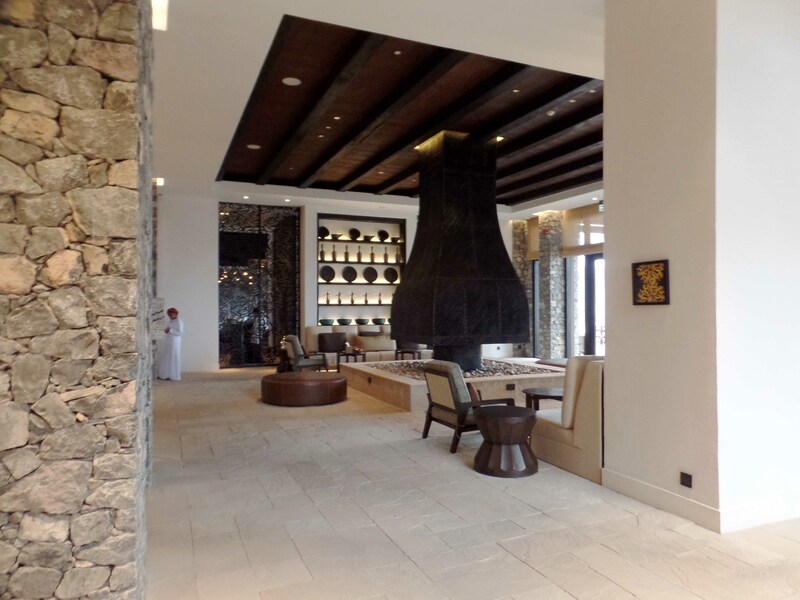 The lobby is impressive with local artwork and Omani décor that I loved at first sight. You will quickly realize that this is nirvana in a hotel: a one of a kind location with plenty of outdoor pleasures, a fantastic and committed staff, exceptional dining, even a world class spa. It is a must-have bucket list experience for the well-heeled traveler. 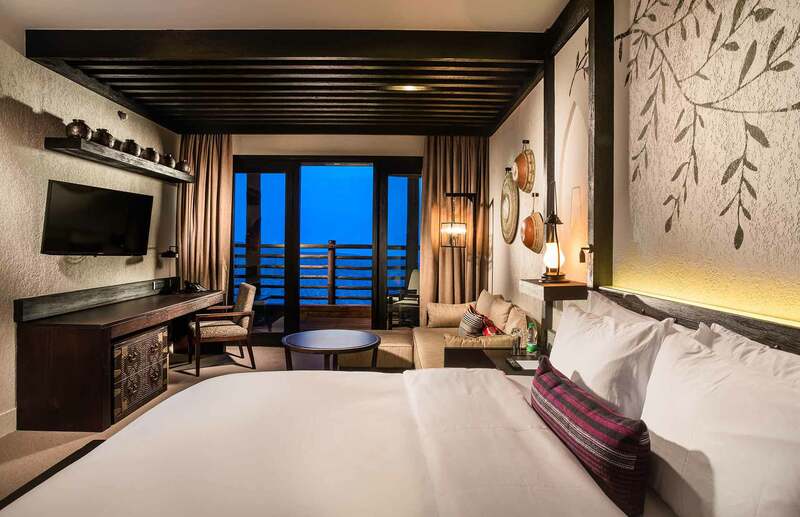 There is a reason why, after it’s highly anticipated debut, that it has been on every luxury travel magazines hot list and has won numerous well deserved awards and accolades such those from Conde Nast and Travel and Leisure. 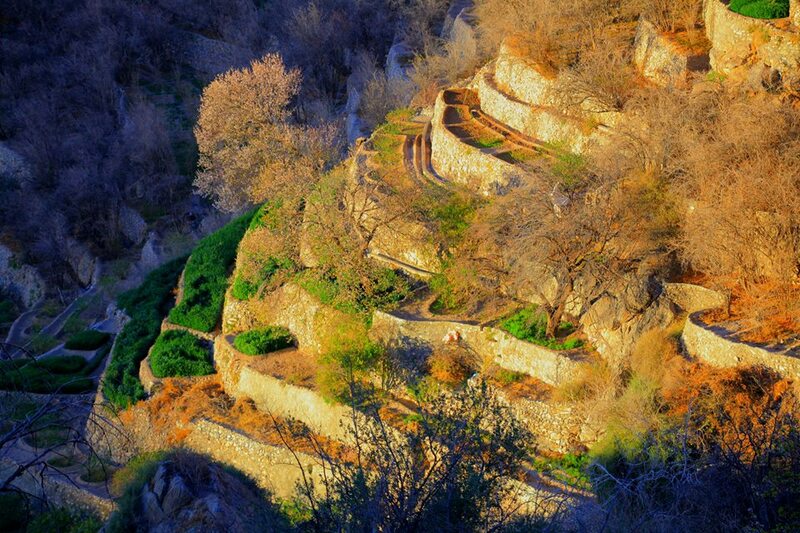 All have come to the same conclusion, Alila Jabal Akhdar is a haven in the heavens. The hotel is a sight to behold. 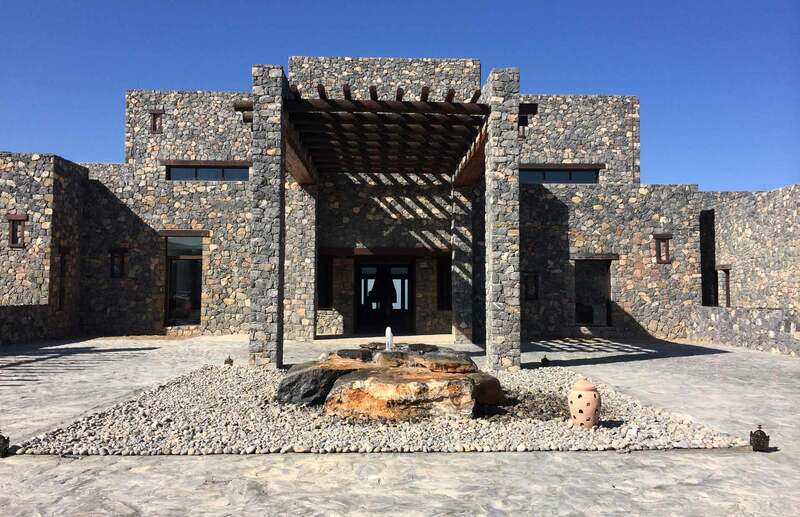 The architecture is inspired by ancient forts; it used traditional Omani construction techniques and local stones combined with contemporary architecture. 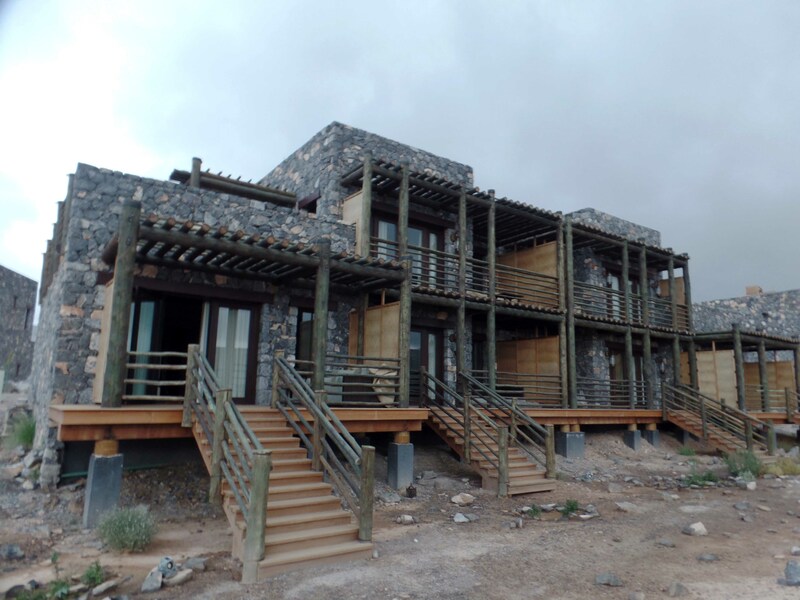 The entire exterior is made of rocks from the area and perfectly blends with the natural beauty of the environment. 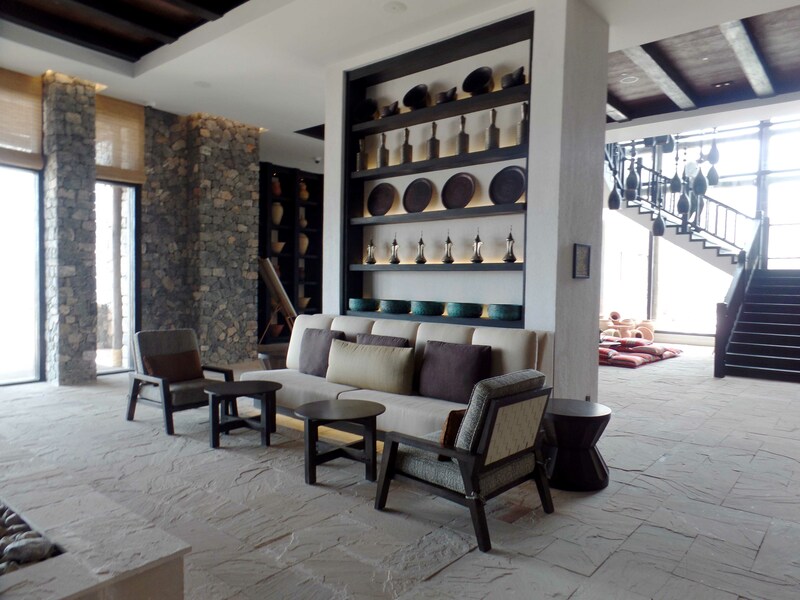 The interiors are equally as impressive with a minimalist style infused with warmth and colors that reflect the region’s ethnic influence. 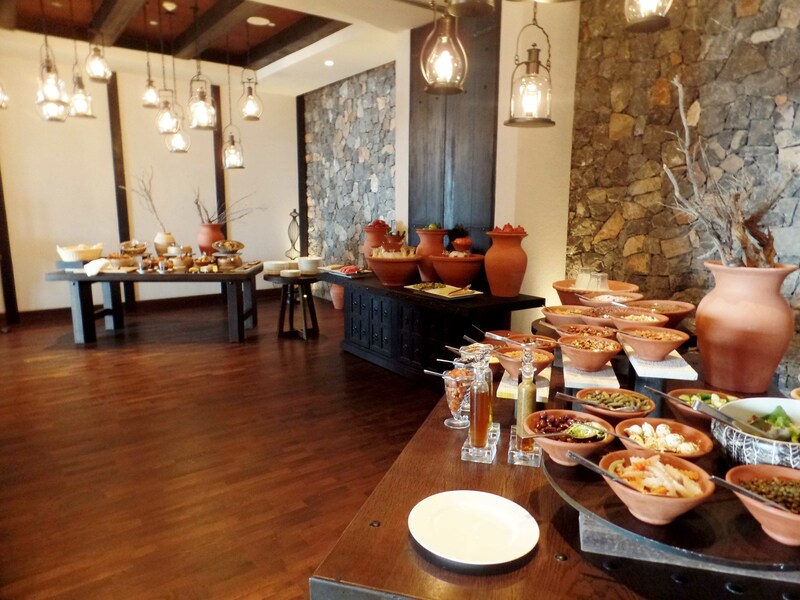 Authentic elements of Omani design decorate the interiors, such as copper ornaments and handmade pottery. 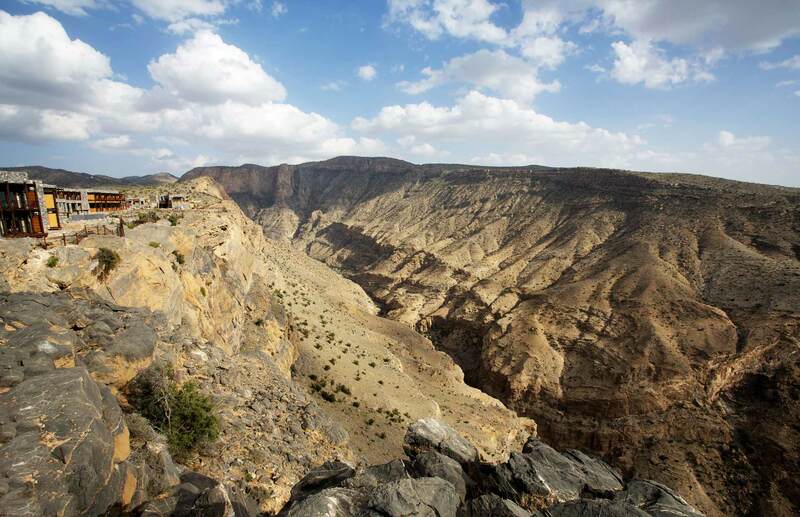 The hotel is on the mountain top, so you’ll have close-up views of the deep canyon which will take your breath away. There is a wood fence that surrounds the property that looks like it came from a Texas cow ranch or a John Wayne Western movie. 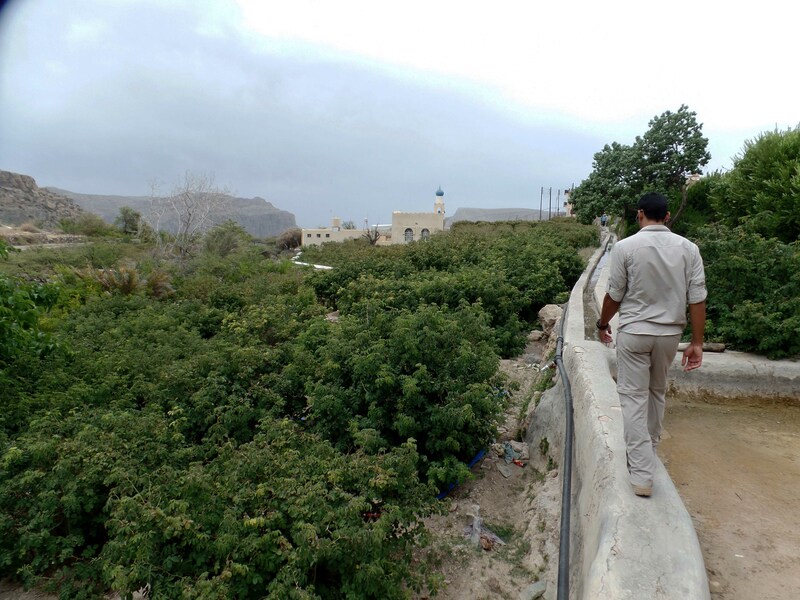 There is also a babbling running water stream throughout the property mirroring Oman’s traditional aflaj system of irrigation channels that dates back 2,000 years and is still used to water the areas date farms and other agriculture. There is a post card perfect infinity-edge pool and hot tub. 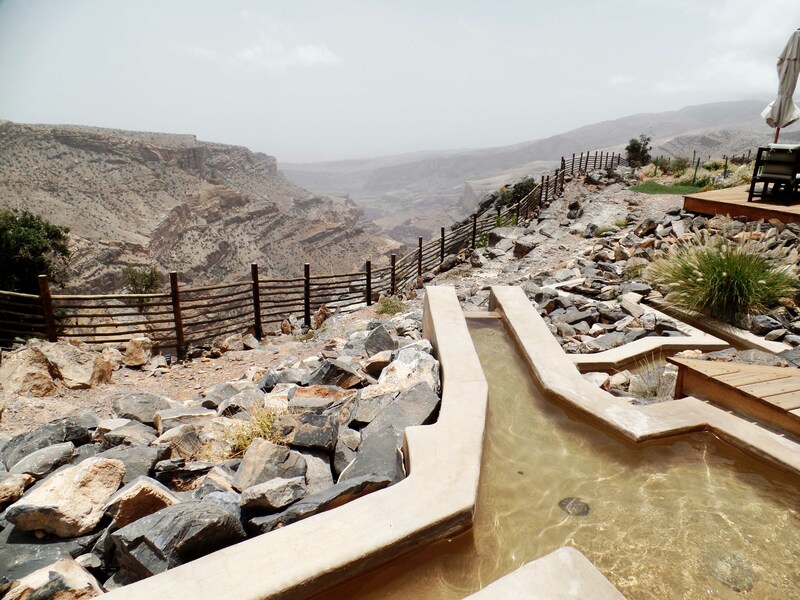 It is a scene that could come from a Swiss chalet; both the pool and Jacuzzi are temperature controlled, so even on cool nights, a dip in the pool is a must-do while here. There is also a lovely indoor pool. 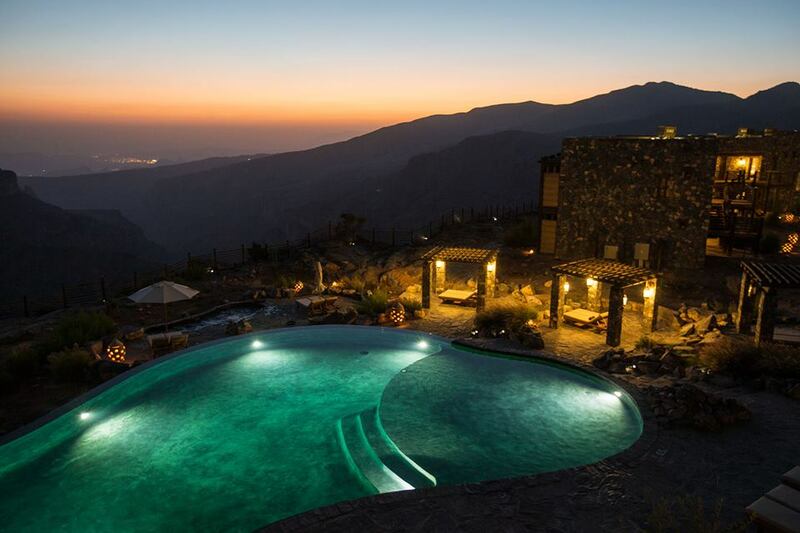 Jabal Ali Akhdar is the epitome of luxury, yet there is nothing ostentatious or stuffy about it. My room was simply fabulous. There was a comfortable king size bed, a lovely sitting area and couch as well as all the modern items you’d expect: flat screen TV, movie channels, fast Internet and a large walk-in closet. 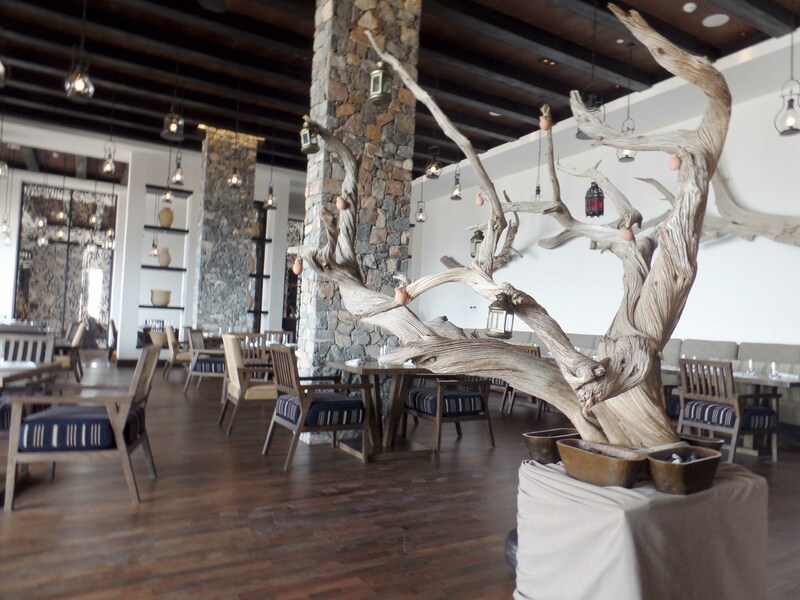 I particularly admired the earth tone hues and wood and stone accents, authentic Omani décor and artwork. There was even a desk made in the style of an Omani safe from centuries past. The bathroom was straight out of Architectural Digest. 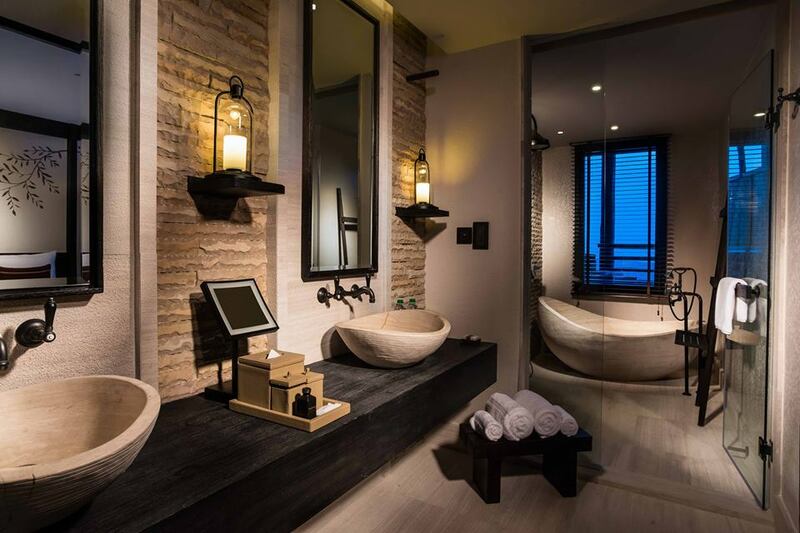 It was literally a separate room with a refreshing rain shower and a deep soaking tub — all perfectly blended with earth tone colors in complement with the out of doors. 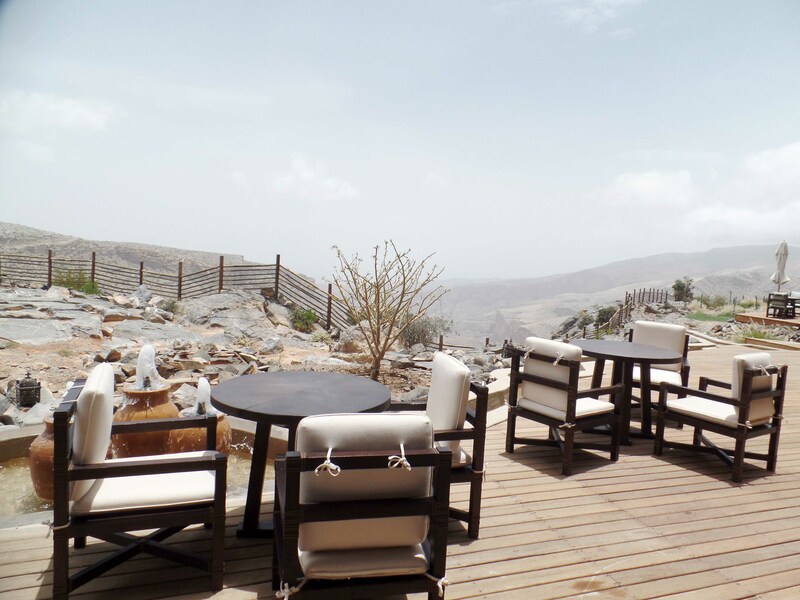 Outdoors was an expansive deck with a daybed for taking in the uninterrupted views of the surrounding mountains and gorges while enjoying the refreshing clifftop breezes. Your view is of the clouds and you can watch them float by from the distance or sometimes, right around you. 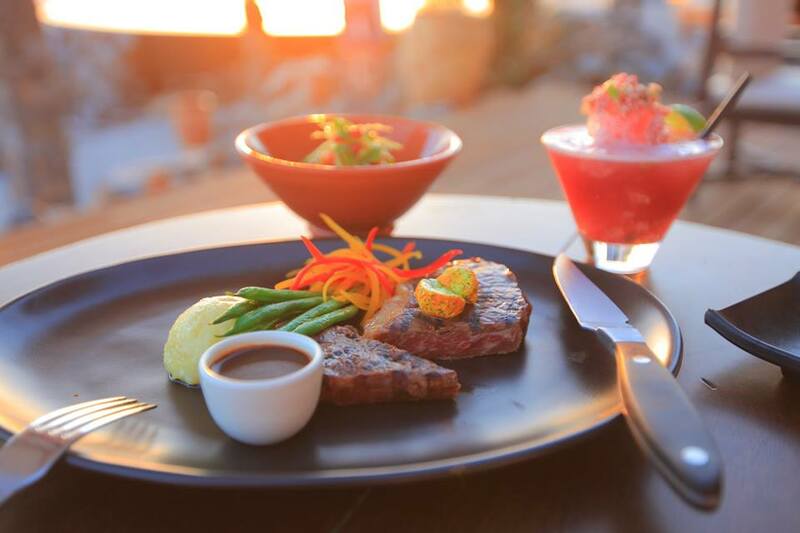 The cuisine could be defined as uncomplicated gourmet: just the top fresh ingredients, done simply and well. 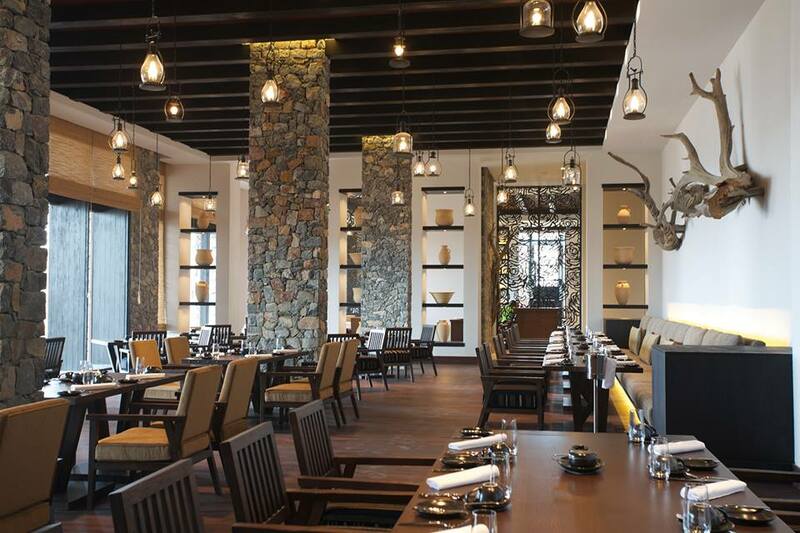 The restaurant, Juniper, offers a good variety of options with a focus on intercontinental and regional Arab dishes. The setting is comfortable and unpretentious. There are views of the outdoors from inside and they also offer al fresco dining. Do you have a table with a view? Yes we do! Pan-seared king prawns with vegetables. For lunch I started with a fresh and tasty fattoush which is a cucumber and tomato salad with pita croutons. I followed with the pan-seared king prawns served with tomato freekeh, buttered snow peas and crustacean sauce. Dinner was fabulous as well, and there were more people in the restaurant, but it never felt crowded. Candlelight flickered across the tables. 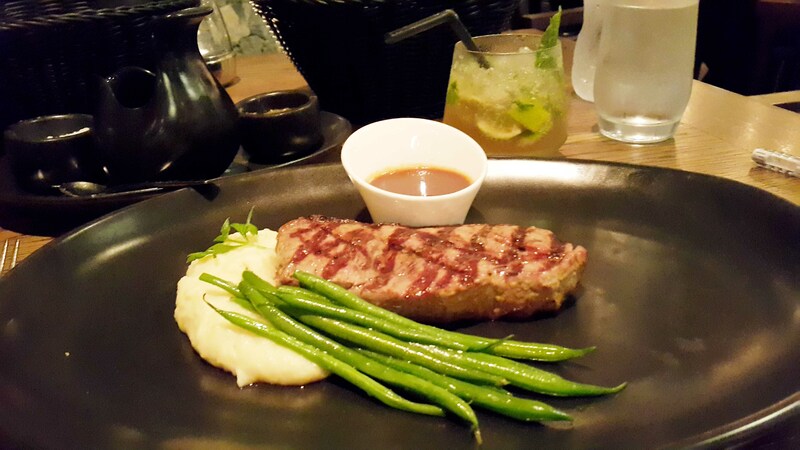 One dinner selection was the Angus Beef Tenderloin, which was juicy, flavorful and was accompanied with roasted mashed potato, buttered beans and pepper jus. Absolutely delicious. The next night I went with the Beef Tanjine, which was wonderfully braised with orange, carrots, celery, raisin andolive couscous. All were fresh, well prepared and delicious. When you are in a place like this, it’s best to wake early, take in an early morning activity and then go back for a power nap after lunch. I did just that and was up at sunrise to prepare for a tour. Prior to the tour, I wanted the necessary energy so went for a nice breakfast at Juniper. There were other early risers taking in their carbs and calories to burn off later in the day. There was a great selection of fresh breads, cereals, juices and fruits. 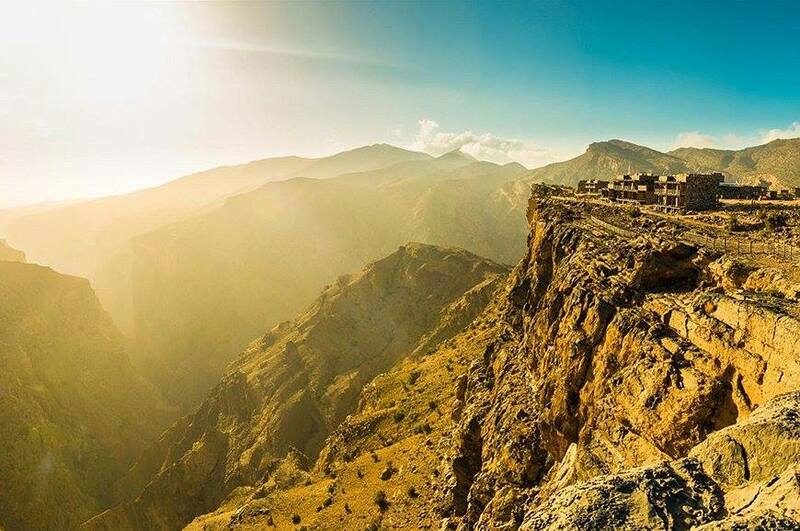 Alila Jabal Akhdar is about providing an uplifting experience to its guests. 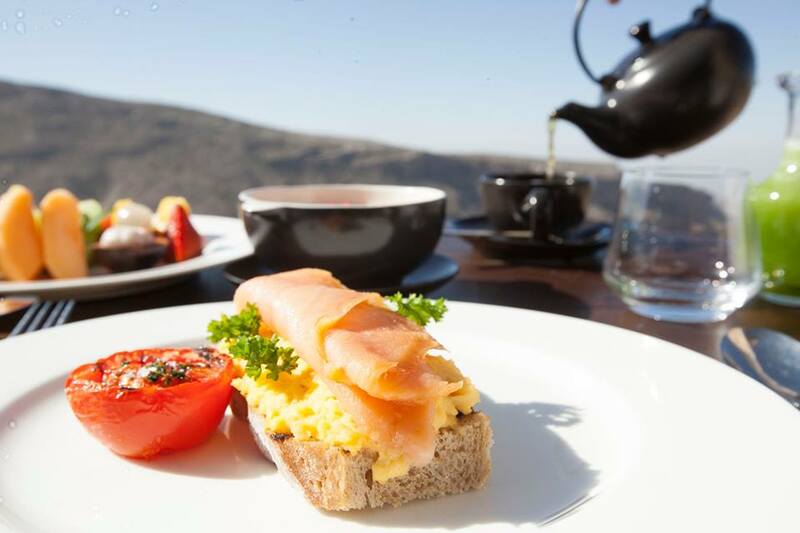 Food, Nature, and spa are key parts of your stay. There is a Leisure Concierge Team comprised of local experts and professionals at your service to recommend experiences to enhance your holiday. For those who want to take a break from their rest and relaxation, there are plenty of activities to engage you. I decided to go on a cultural discovery tour. After a quick chat about what I wanted to do with the resort’s Leisure Concierge, Ali, we were off in a dash. Ali is Omani and proud and passionate of his heritage and of his country and this region in particular. He took me on a comprehensive and robust walking and driving tour of the area and neighboring villages. We stopped along the way taking in some of the area’s most impressive vistas for seeing and taking photos. 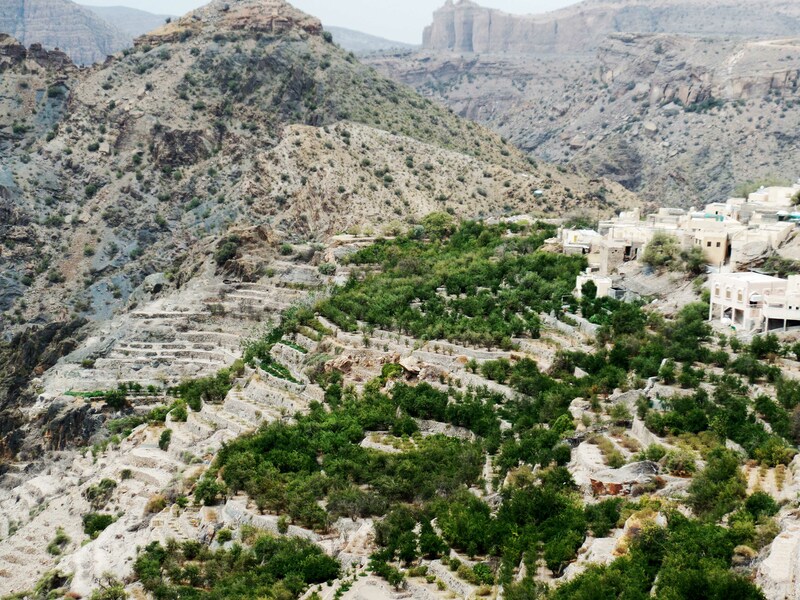 We went to Jabal Akhdar, a mountain village where the villagers still farm as they did centuries ago, on platforms hewn out of the mountainside into grow-able flat land, allowing this area to take advantage of the rainfall and temperate climate to raise all kinds of produce. The region is known as Oman’s fruit bowl and grows peaches, apricots, figs, grapes, apples, pears, and pomegranates, as well as almond and walnuts. This area is well known for roses which are made into rose water for perfumes and cooking. We wandered through the villages and met some of the friendly local people. 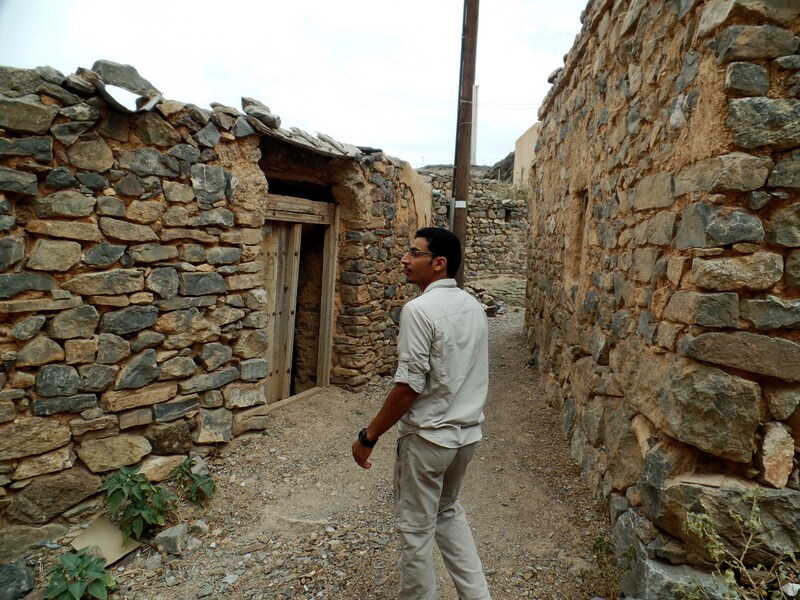 Just up the road, we stopped at a 1200- year-old abandoned village, a great photo op. All along the way, Ali pointed out the various villages and towns and gave history and context to the imagery. My time with Ali, my Leisure Concierge, was rewarding, culturally enriching, and gave me an experience to remember. 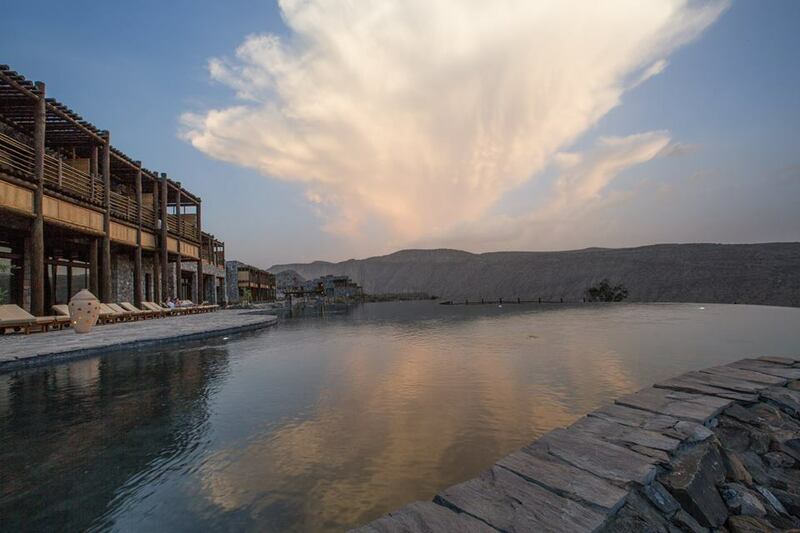 Alila Jebel Akhdar is a haven to bring your mind, body and soul in alignment. From the experiences, dining, and nature around, you begin your transition to healing. 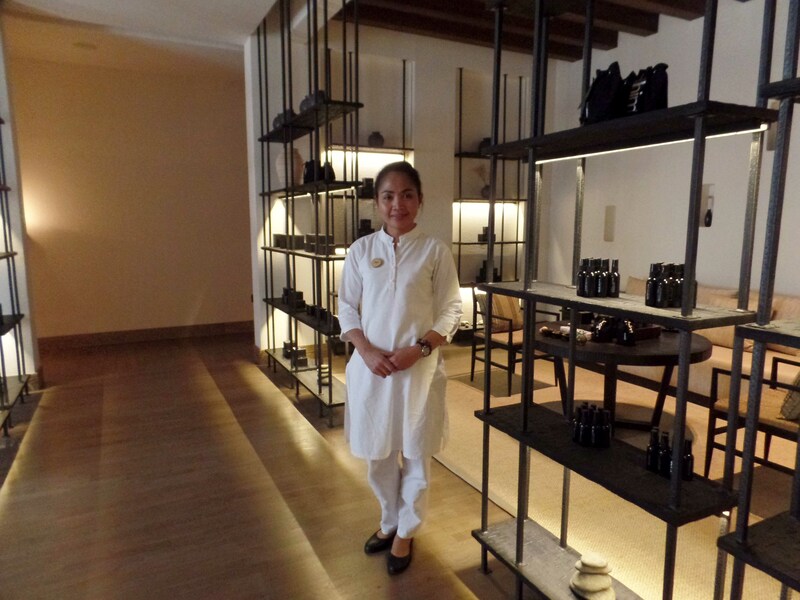 For the body, Spa Alila offers top notch spa service led by the passionate and capable spa director, Ami from Bali. When I asked what makes her spa special, she shared that it’s the heart and energy of each and every staff member. She said that while other spas may be bigger and have more equipment, without the therapists who genuinely seek to heal their guests, the guests will never be satisfied. Ami, along with her entire staff, seemed fully committed to revitalizing and healing each of her guests. The facility is first rate: seven treatment rooms, a Vichy shower and relaxation area. 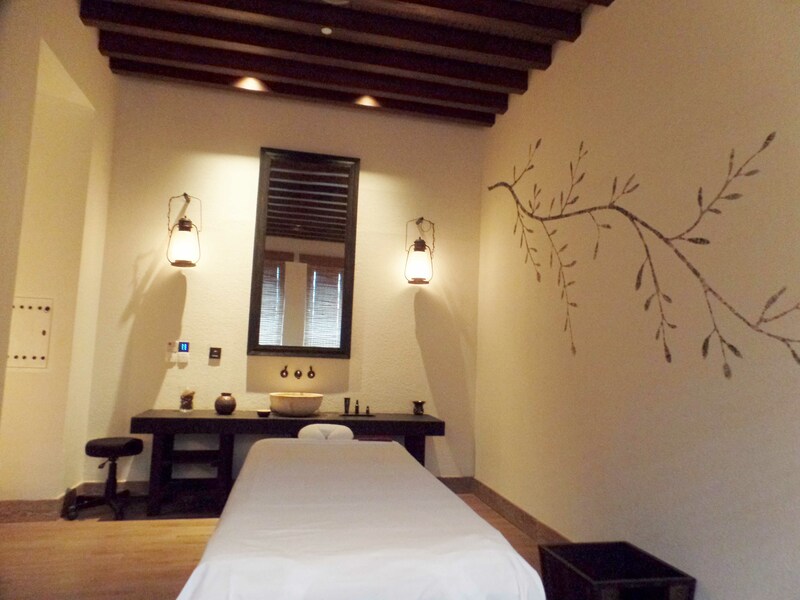 The spa décor is reflective of the resort, with deep wood, cream walls and candles and Omani touches. The soft Asian flute music is relaxing as you begin to forget your daily stresses. The spa offers Omani and Asian treatment techniques across a host of healing, cleansing and beauty therapies. My treatment began with a consultation with Ami. I chose the signature therapeutic massage treatment, which started with a few questions about my specific aches and ailments. 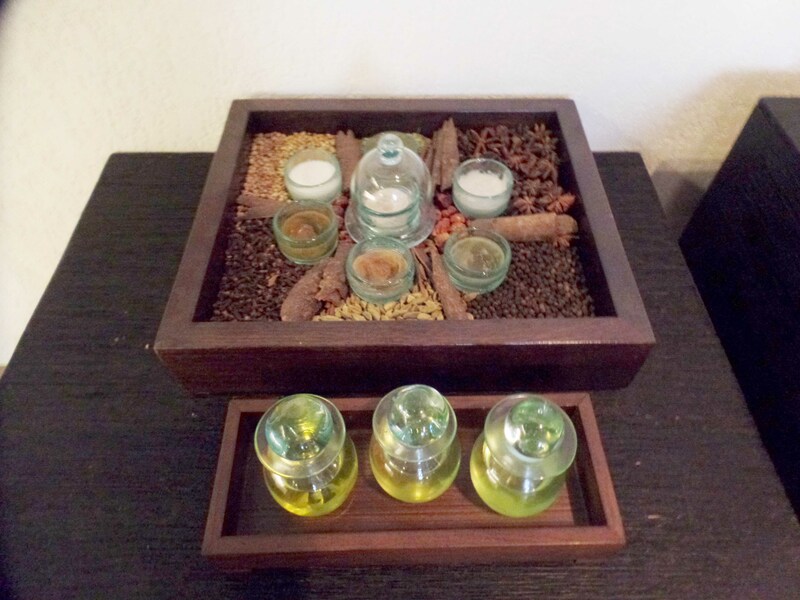 Ami then shared three types of oils to choose from, one for relax, one for detox and one for healing. I choose the relax oil and off I went. 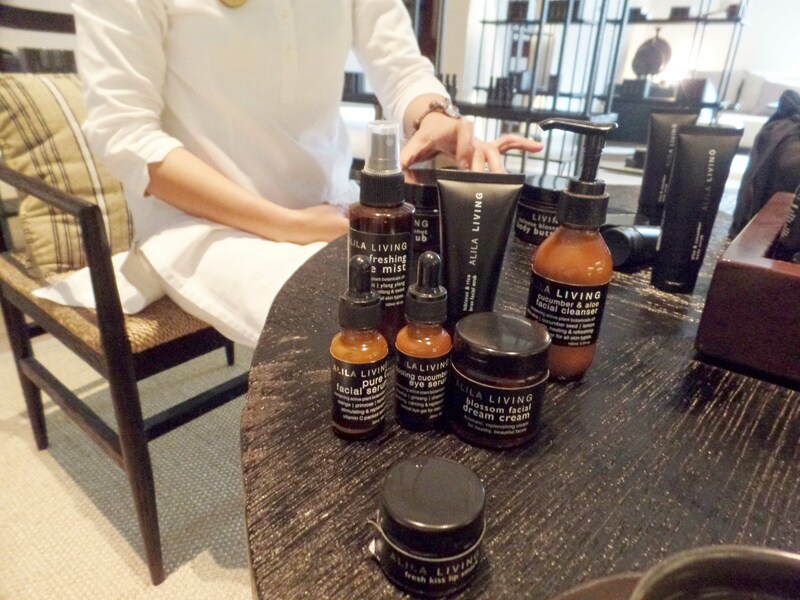 The spa produces their own Balinese-inspired, community-driven Alila Living products with recipes featuring the curative benefits of fresh, natural, quality ingredients. The treatment room was beautifully decorated, and there was a separate changing room with a shower. The treatment began with a soothing foot bath of sea salts and warm water. From there the deep tissue massage erased weeks of stress in one hour. My therapist, Dewa from Bali, was a wizard knowing which areas to push, pull or rub. He asked how I found the pressure and adjusted accordingly. The therapeutic massage used a combination of techniques using fluent strokes of different depths and intensity. Long Balinese strokes improve lymphatic drainage and circulation, the Swedish deep tissue techniques worked to relieve muscle tension and stiffness. Acupressure points were used for specific stimulation, while Thai movements added elements of stretching to increase mobility. Before I knew it, I floated away in blissful oblivion, not a care in the world in complete and utter relaxation. After the treatment I was given a ginger, saffron and honey tea, and I relaxed letting another level of tranquility set in. After my short trip here, I was left yearning for a few more days but I will be back. This is a special place worth visiting time and time again. 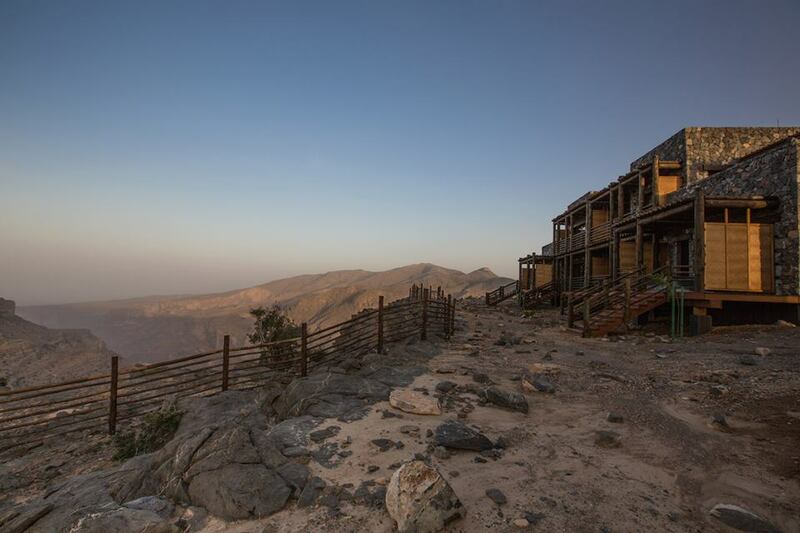 The Alila Jabal Akhdar is for the refined guest. There are no discos, shopping plazas or techno pool parties. This is for the person who is seeking an authentic experience of Middle East culture, an incredible natural environment and world class accommodation. This is all about rest and relaxation, getting in tune with yourself, perhaps with a loved one and with Nature. Glenn Harris is an accomplished journalist focusing on international travel, fine dining, and luxury lifestyle events. His wanderlust has taken him to over 75 countries where he is constantly straying off the beaten path uncovering new and often exotic finds. He particularly enjoys seeking out lesser known travel gems and places to stay, dine, or experiences to capture.